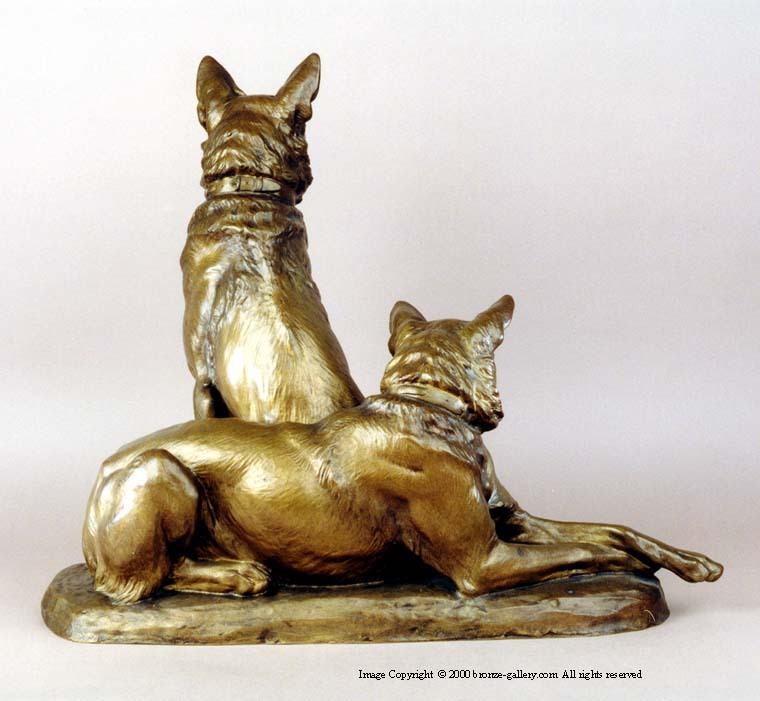 This very large exhibition size group of two German Shepherd dogs is wonderfully modeled and finished in a light brown patina. The bronze was cast by the P. Claessens foundry in Paris, and is marked with the "Medaille d'Or" Gold Medal Seal showing that it was cast after Riche won his Gold Medal at the Salon for this model. The character and expression that the artist has captured in the dogs is amazing. This is one of Riche's finest sculptures. 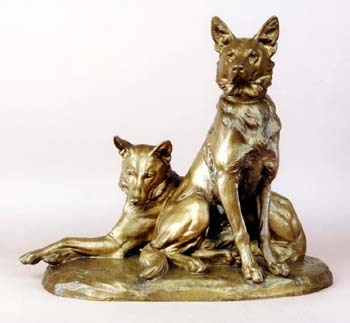 Chiens Policers was exhibited at the 1914 Paris Salon where it was awarded a Gold Medal.